After the United States’s atomic bombs destroyed Hiroshima and Nagasaki in 1945, the risks of nuclear disaster and the dangers it posed to humanity became very real in the public imagination. The Doomsday Clock has drawn attention to these threats ever since, and since the collapse of the Soviet Union, it has been inching closer and closer to midnight. 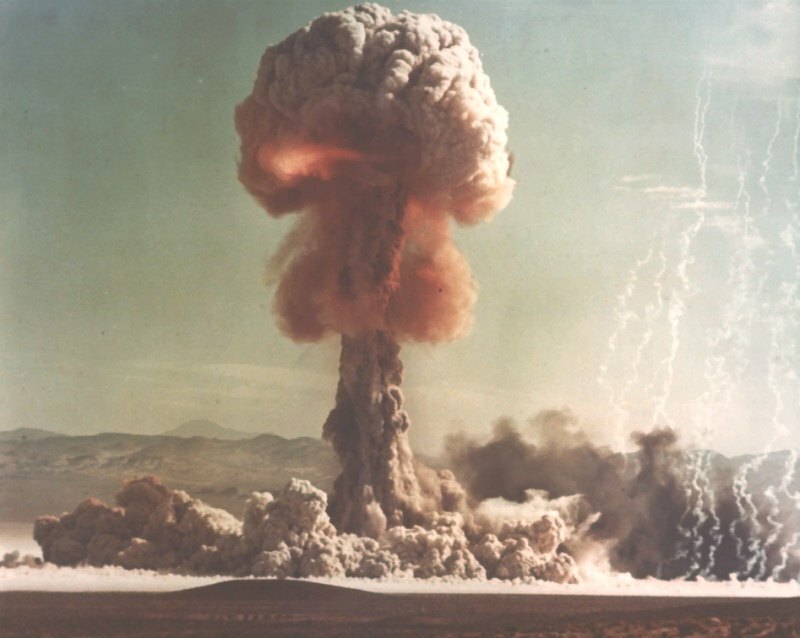 As I predicted, the Bulletin of the Atomic Scientists updated the clock last week by moving it from two and a half to two minutes until midnight, the nearest humans have been to apocalypse and annihilation. It would put 2018 in a grim tie with 1953, when the U.S. and U.S.S.R. developed the hydrogen bomb and heightened the Cold War. In an attempt to make the Doomsday Clock more punctual, a decade ago the Bulletin of the Atomic Scientists’ science and security board incorporated climate change threats in their assessments. In the following years, they have also referenced emerging technologies in the life sciences — mainly gene editing and gene drives — as well as killer robots, cyber attacks, and bioweapons. Simultaneously, global warming continues relentlessly, and though it’s a long-term problem, in the short term the time for action is ticking down, especially as the Trump administration retreats on efforts to combat climate change. So I think it makes sense for the clock to move forward, as we’re in more danger than before. In any case, I don’t think we have to view all this entirely with doom and gloom. Just as a handful of people (and not just Trump) can push that minute hand forward, by working together to stop global warming and by focusing on diplomacy, we can pull ourselves back from the edge of the precipice.